When we were approached by designers for this private block of 24 flats in London, we jumped at the chance to fabricate solid surface products in a more domestic setting. They wanted all of the bathrooms to have innovative, clean, pure yet edgy design across the whole building. 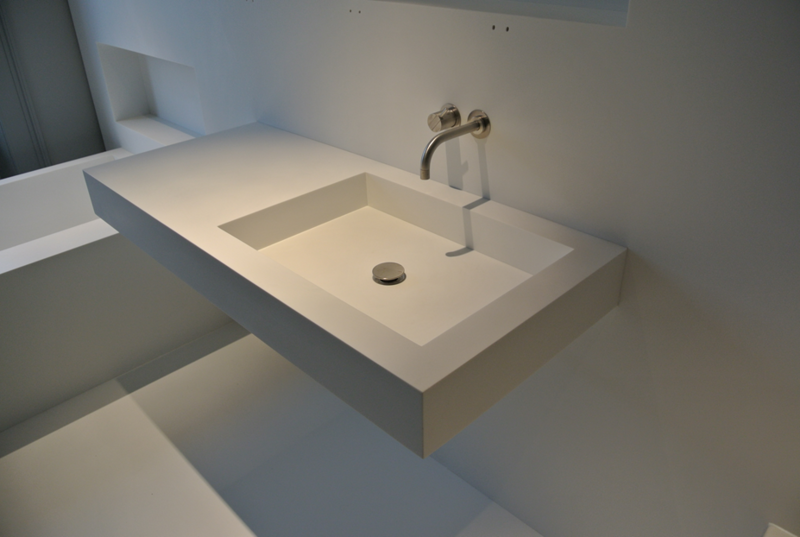 They opted for Corian white, knowing that as we as Corian suppliers, would be able to produce something totally custom to their requirements. 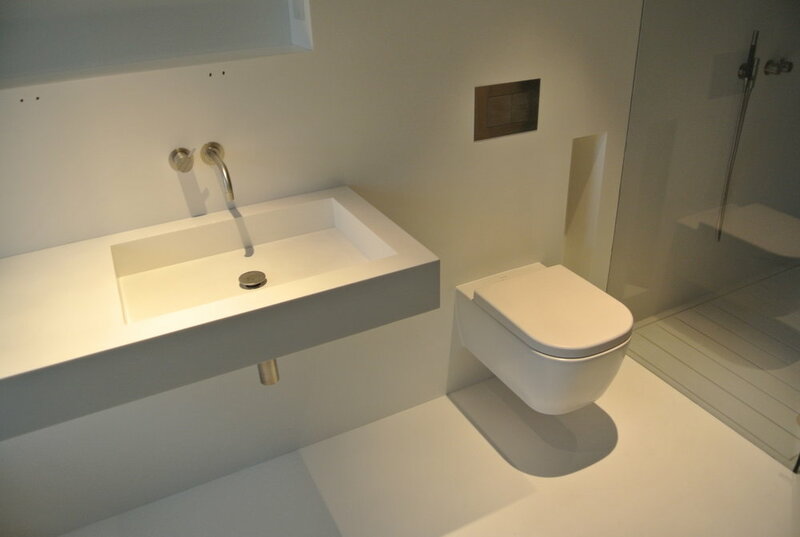 Choosing white throughout, we manufactured a Corian bath, Corian sink, Corian shower tray, internal Corian wall cladding and Corian shelves and Corian rail. The effect was breathtaking, leaving the lucky owner once in the facility to have a stylish yet blank canvas on which to choose their bathroom accessories for. For such a modern, neutral and clean design, just the smallest splash of colour will enhance the entire bathroom. The finished article was a real joy to behold.